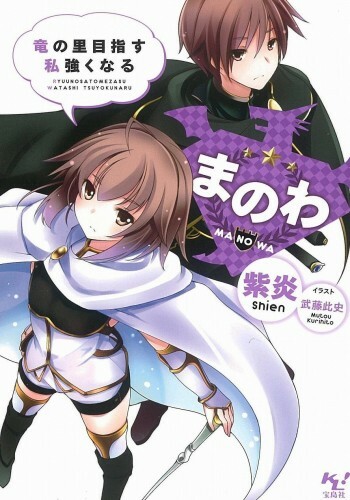 The setting is a pretty basic isekai, the wordbuilding and the characters are unique, but the story itself isn't really amazing and is better if read in a lighthearted fashion. That said, it stands out because it doesn't fall in to the OP MC trope and the story manages to remain engaging. The only thing worth criticizing imo is the way the characters act and react, don't expect realistic personalities/ways of thinking; it's not to the point of being so bad it's annoying to read though, as long as you don't take... more>> it too seriously. To be completely honest, I would rate this novel about 3 to 3.5 in term of overall quality but because I personally enjoyed it I bump it to 4. The premise is rather common, someone from modern world transmigrated to a game world that for unknown reason become reality, she uses her extensive knowledge as she is an expert in the game to become stronger fast. Cliche but good stuff. I find the dialogue to be rather childish, awkward and didn't flow well, though not to the point of being irritating like... more>> most Chinese novels did, it just doesn't feel to be well written at all which is a minus. The characters are fine, they are fairly interesting but they lack depth and usually feels a bit unnatural and not very realistic in their behavior and or reaction, i'd say it is on the standard shounen level. The story is actually fairly interesting so there's that. Okay, I was thinking about dropping this for a while, but that thing just sealed the deal. I hoped for some character development, but MC is just soulless puppet without any resemblance of emotions. I hoped for some shoujo-ai (which was originally in genre listing), but it was a bait, so I removed it. MC is so OP, that this story should be an "One-punch Man" spinoff. The golem power is a joke. The summoning of previous characters clearly breaks rules of the world. It has a character sheet, which is pretty much... more>> a telltale sing of crappy isekai. I've been hesitating about starting this series for months as the description makes it sound a bit like a cheesy comedy series, but always ended up coming back to this page because I have always like the Blue Mages in FinalFantasy. Finally decided to have a look and was not disappointed, Blue Mages Rock. The beginning almost feels like reading an rpg chat log/battle log, but this gets better and become a proper (good) story. Dont go into this book with a super serious mindset. This is kinda laid back, a bit slipshod and has comedy and amusement to boot. Its also that kinda book you either like or dislike, not much middle ground to be had. Its got a similar vibe to Kuma Kuma Kuma Bear but also different in its own way so it doesnt feel super samey (for the record, im not sure which one came first, also dont really care, both books have enough difference to not feel like im reading... more>> the same thing). I gave it a 4, just dont think it deserves a 5 but its not like I can put a finger as to why. I guess that biggest 'reason'? Or 'logic'? Would be while reading I would wander off to read other things. It did not keep me "turning the page" as it were. Was I bored? Not really but it wasnt "serious" enough or "deep" enough to make me want to binge read with no interruptions (outside of mandatory ones). This is a really interesting novel, reminds me of kuma bear with how it's written and narrated. Characters are fun and interesting although there are a lot of clichés in the novel it doesn't really drop its quality. At the beginning it might seem dull but later on it gets more interesting. 4/5 because well I've seen the isekai trend lots of times (not saying it's bad or anything). You should give this novel a try, if you're looking for something to satisfy your boredom or looking for an enjoyable isekai... more>> novel.